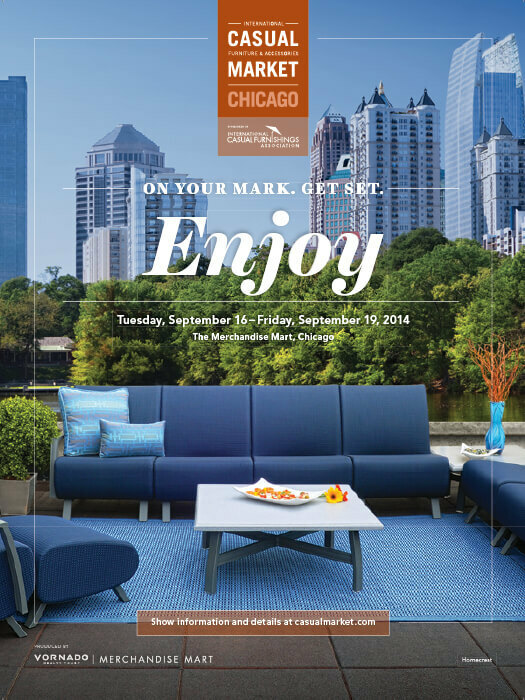 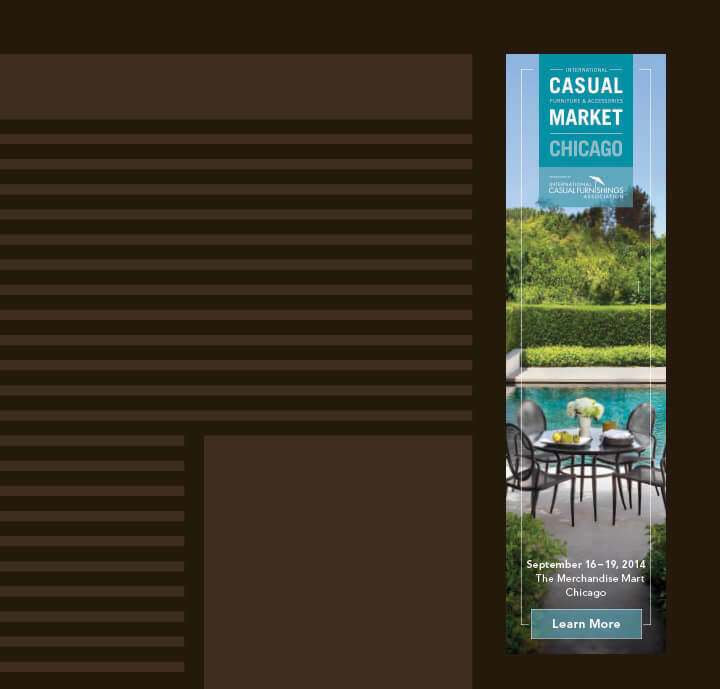 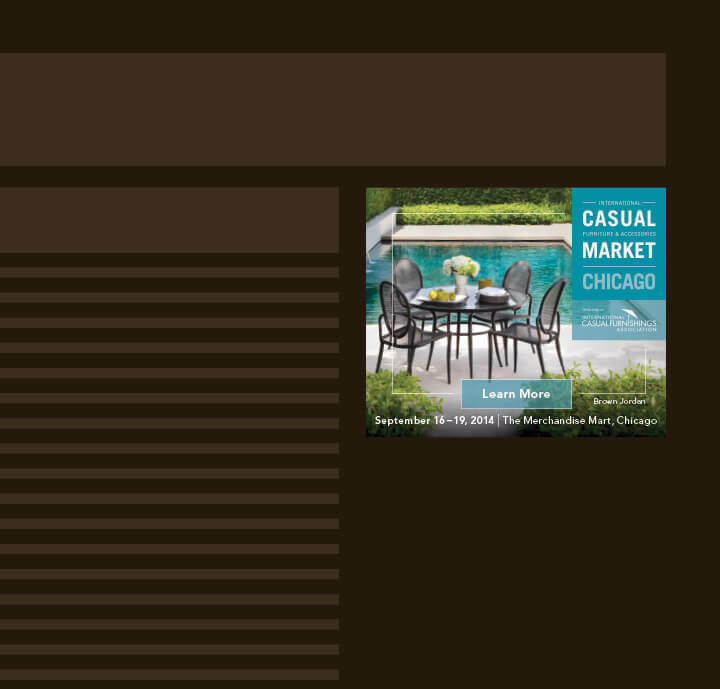 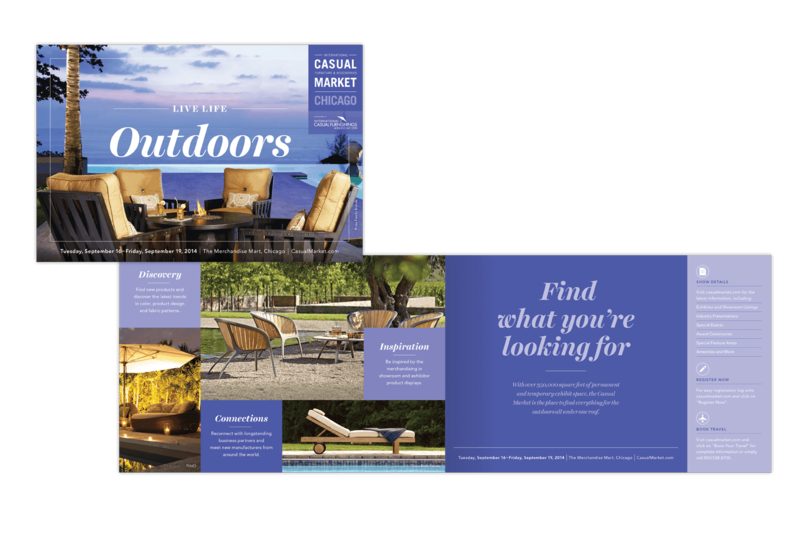 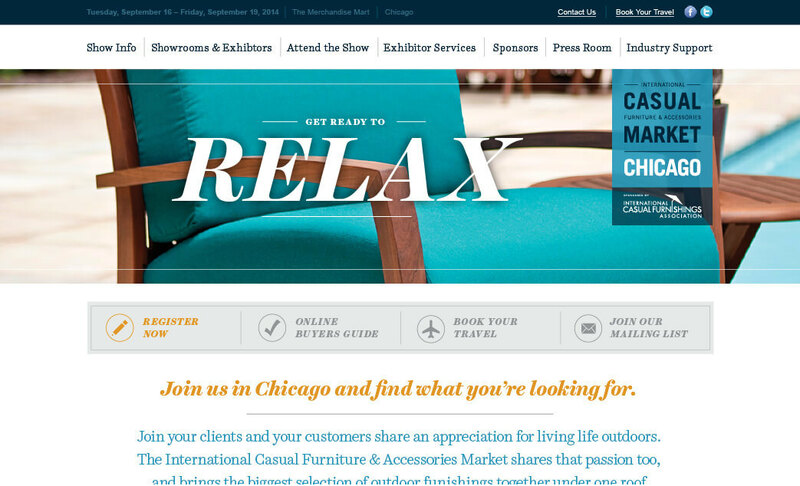 Following the initial rebranding we did the year prior, Casual Market broadened its action-driven messaging to further reflect the categories within the outdoor furnishings industry. 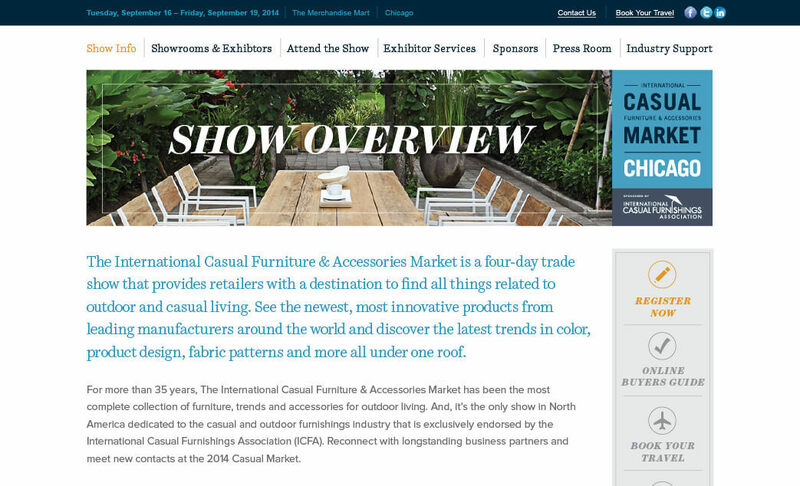 To visually separate itself from the previous year, the show’s look and feel evolved slightly while keeping the newly-defined core brand tenets intact. 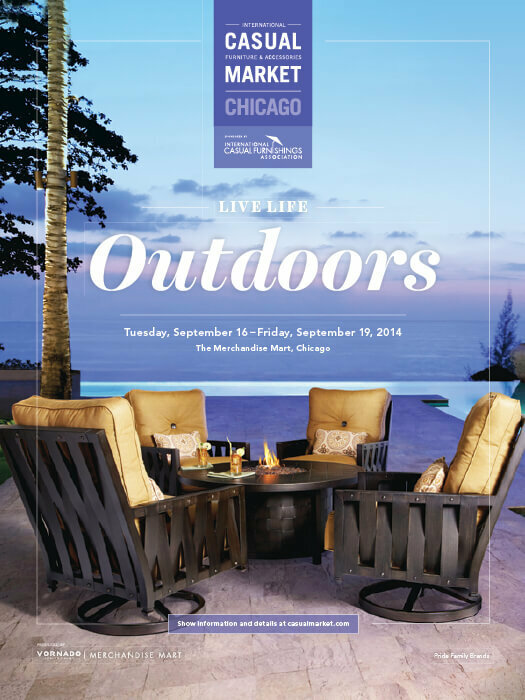 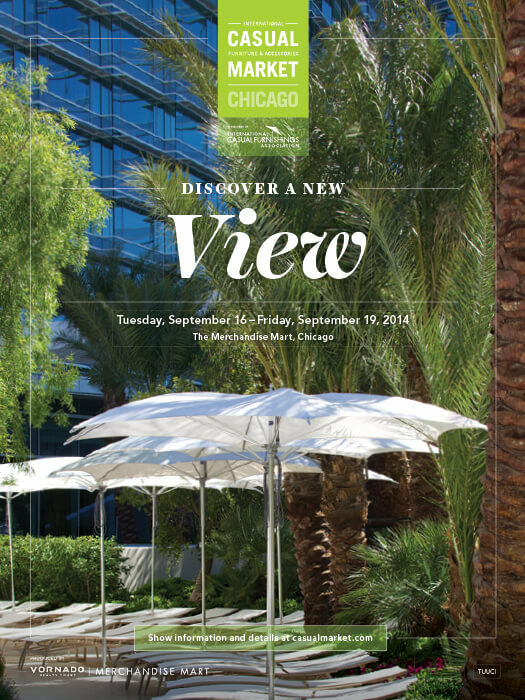 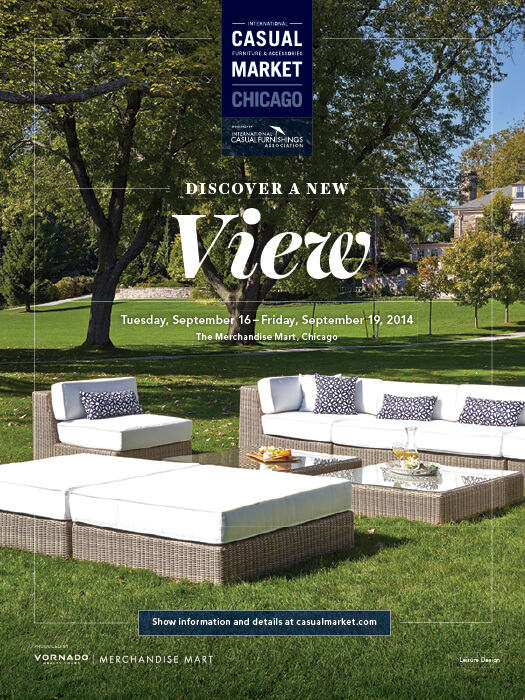 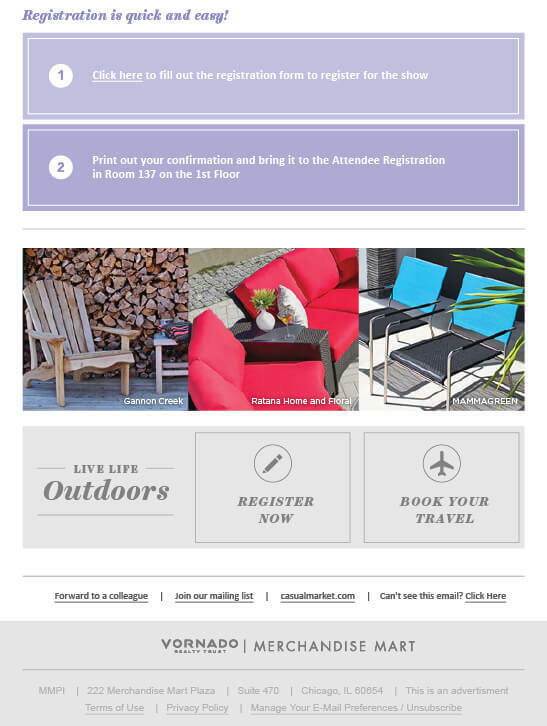 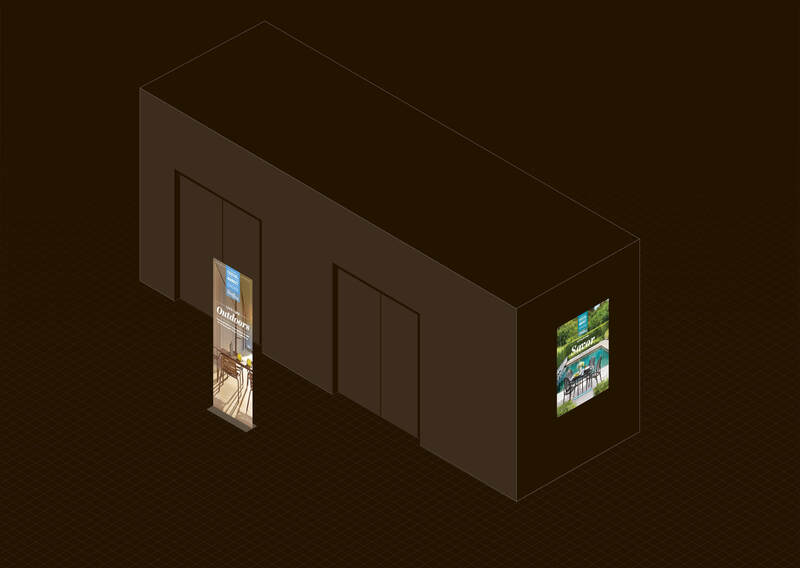 Clever headlines pulled the campaign together and highlighted specific words that are synonymous with outdoor living. 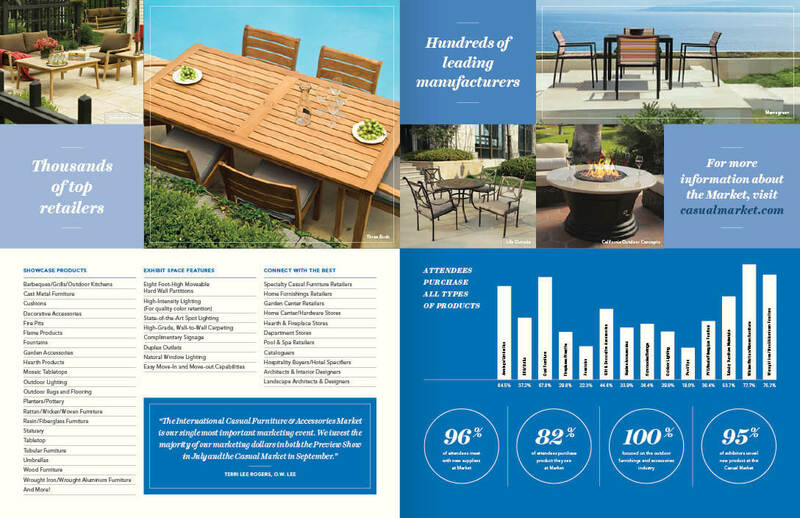 A series of ads were designed to feature a product from a range of the show’s established exhibitors. 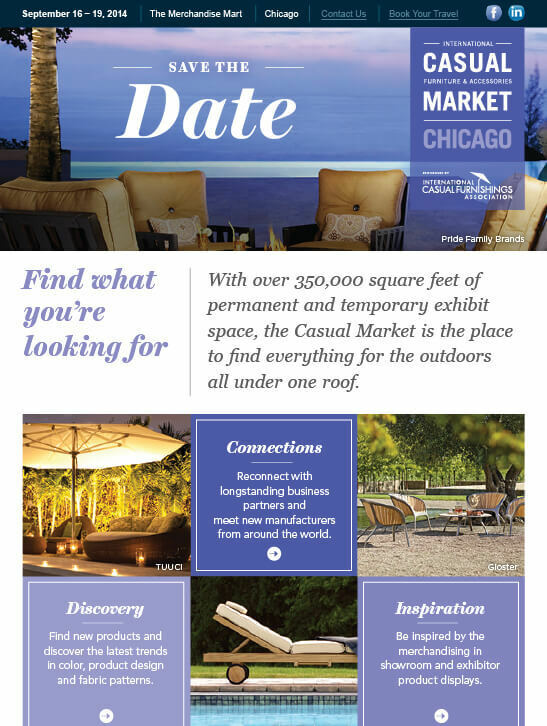 Direct Mail A foldout postcard was mailed to potential attendees to invite them to attend the show at theMART. 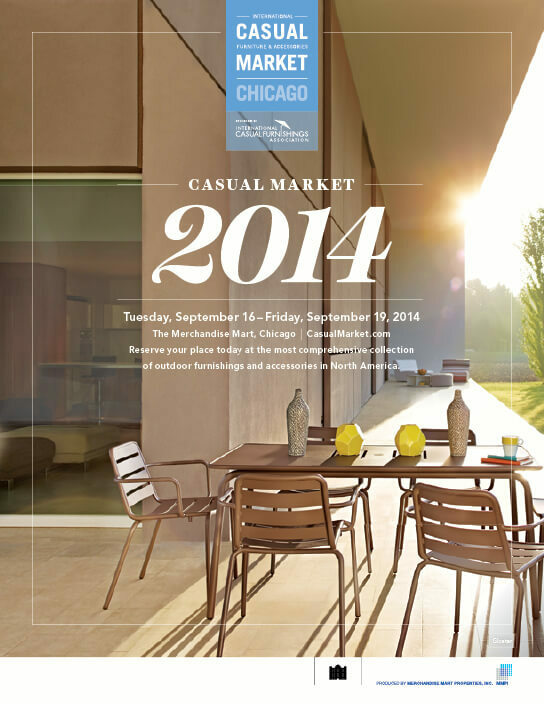 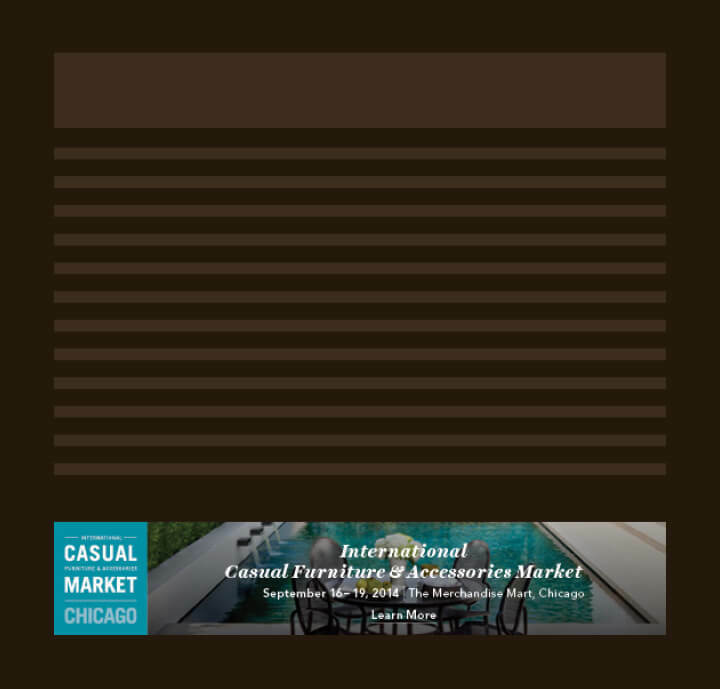 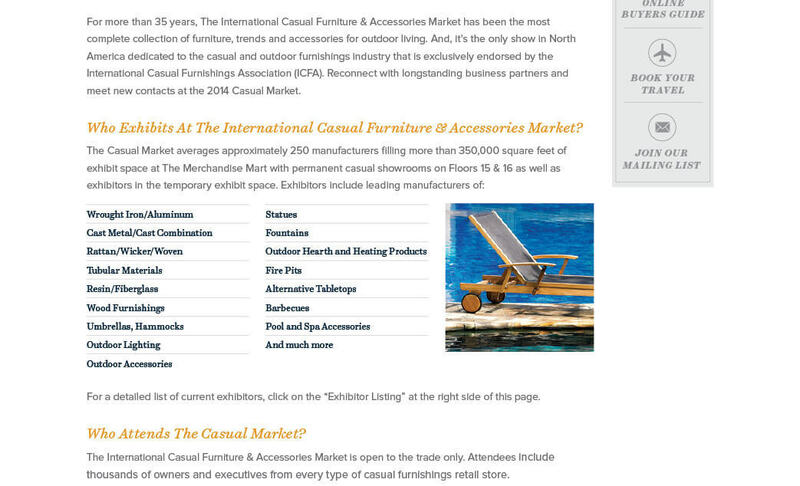 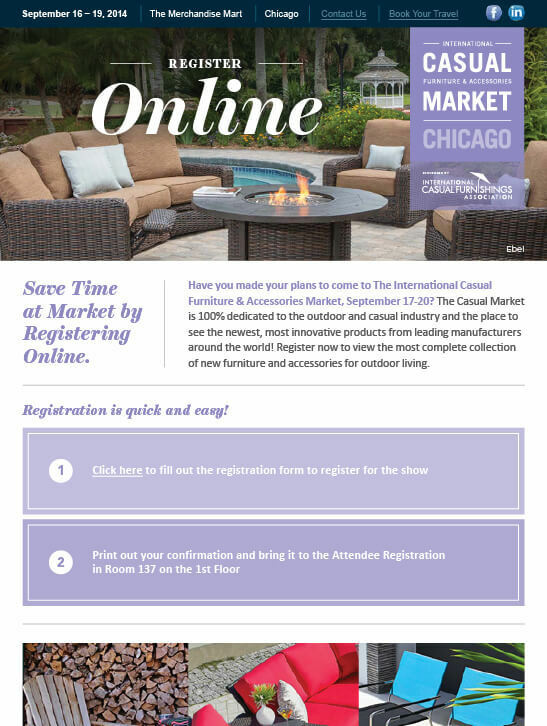 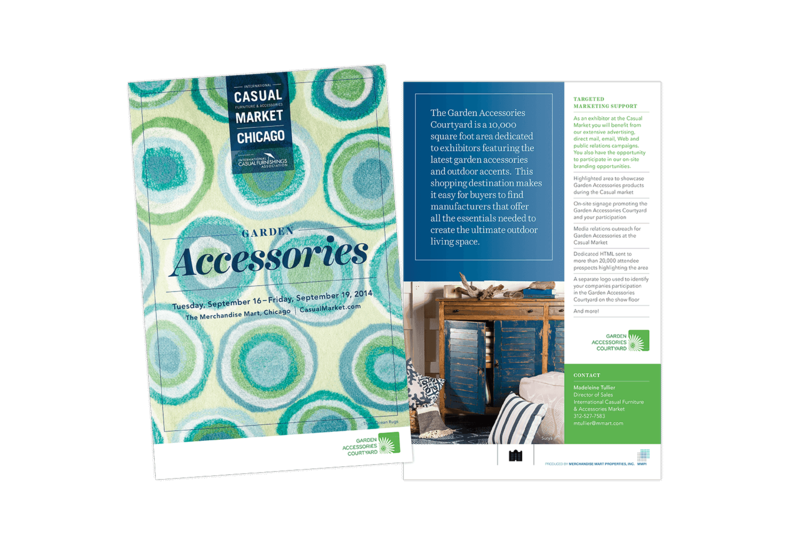 This brochure was both printed and delivered as a PDF to potential exhibitors explaining the benefits of exhibiting at Casual Market each year. 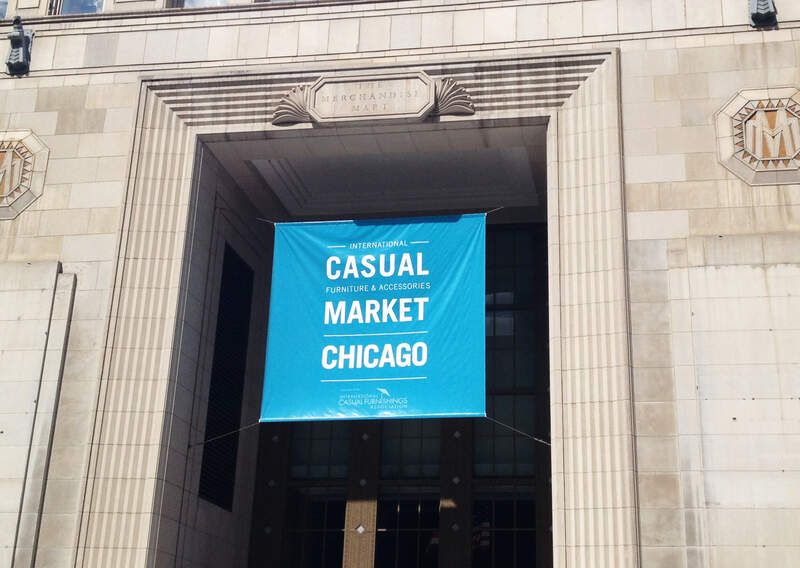 Throughout theMART, we designed a signage system that both branded the space and informed attendees about how to navigate the event. 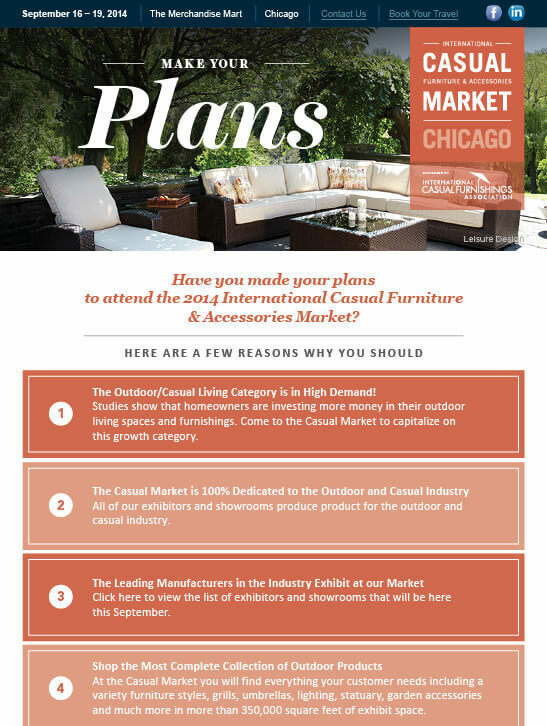 Flyer A flyer was created to promote the show and encourage the manufacturers of grills and fire pits to exhibit. 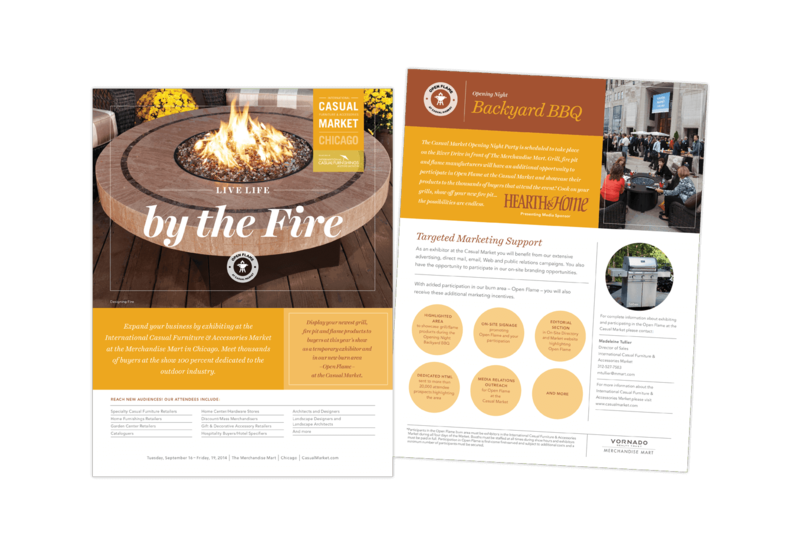 Website We designed the overall framework of the site and navigation to be user-friendly while adhering to the theme of the campaign. 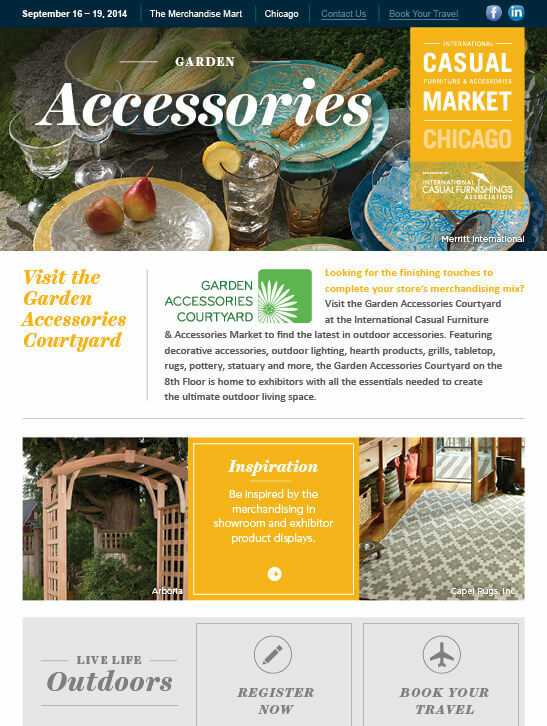 Fact Sheet To bolster the garden accessories products at the show, we worked with the marketing team to create this card to inspire exhibitors to attend.